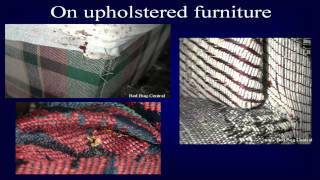 Find more videos from the Rutgers New Jersey Agricultural Experiment Station on our Bed Bug video playlist on our YouTube channel. 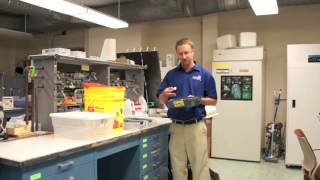 This short video will discuss the biology of bed bugs, how they spread, and integrated control techniques. 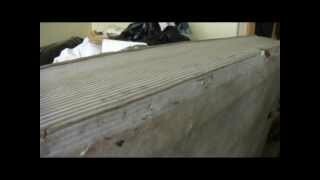 A box spring was steamed thoroughly but still had hundreds of bed bugs after two weeks. The room was cluttered and heavily infested. Multiple control methods including de-cluttering, frequent laundering, encasing the box spring and mattress, and applying insecticide dust will be needed to eliminate the bed bugs. 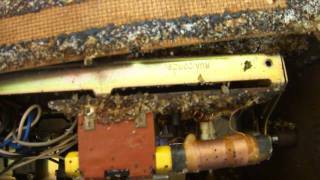 This video shows an old radio that is heavily infested with bed bugs. Thousands of bed bug eggs are seen on the back cover. 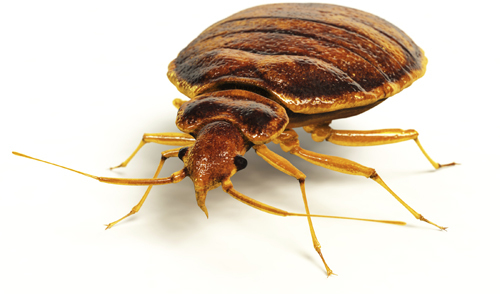 Electronics that are placed beside sleeping areas can be infested with bed bugs. Travelers should keep alert not to bring bed bugs along with their belongings back home. What happens if bed bugs are not treated? Watch this thrilling video taken from a single home in New Jersey in 2011. 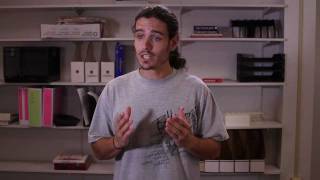 This video on bed bugs explains what bed bugs are, how they feed, where they live, and how to look out for them. 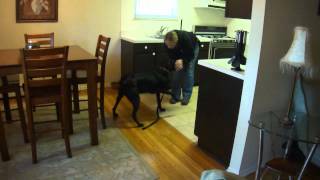 A trained dog is looking for live bed bugs artificially hidden in various locations in an apartment. The dog successfully found the hidden bed bugs in all locations in this case. 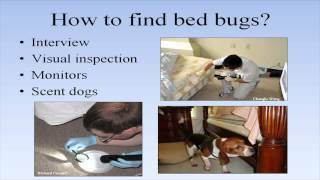 A well trained canine can be very valuable in detecting bed bugs. However, the accuracy is often affected by improper maintenance, the dog handler, or environmental conditions. 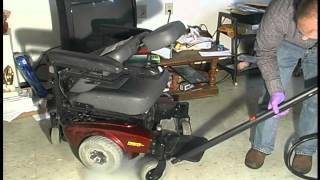 Using hot steam is an effective and safe method to get rid of bed bugs on a wheel chair. 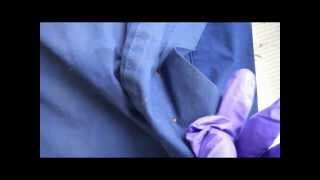 Hand removal is sometimes necessary to eliminate bed bugs hiding in non-washable items. Alternatively, you may wrap it in a plastic bag and place the infested item in a household freezer for 4 days. 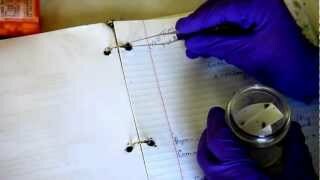 Using common household items to make an effective bed bug monitor. It is cheap, convenient, and much more effective than visual inspections. It is similar to dry ice trap that is described in Rutgers University Cooperative Extension Fact Sheet 1117. 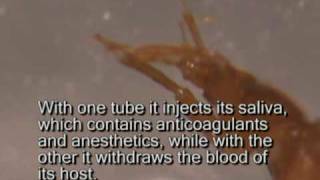 This comprehensive bed bug educational video discusses history of bed bugs, bed bug biology, monitoring and inspecting methods, how to prepare and conduct bed bug treatments.